Strongly mucilaginous, fenugreek soothes and heals sore, inflamed, or ulcerated tissue in the gastrointestinal tract. Clinical trials have shown that it lowers levels of “bad” fats, like cholesterol, LDL, VLDL, and triglycerides, within the blood. Blood sugar control and insulin response in diabetics are also improved. This is an Egyptian preparation, made by soaking the seeds in water till they swell into a thick paste. Said to be equal to quinine in preventing fevers; is comforting to the stomach and has been utilized for diabetes. The seeds are soaked in water, then allowed to sprout, and when grown about 2 or 3 inches high, the green eaten raw with the seeds. Prepare a decoction by boiling 5–15g of seeds a day, or max. 100g (3½ oz) per week for its anti-inflammatory and antipyretic activity. In spring, after the threat of frost has passed, sow seeds to a depth of a little less than a quarter inch. The seeds sprout quickly. 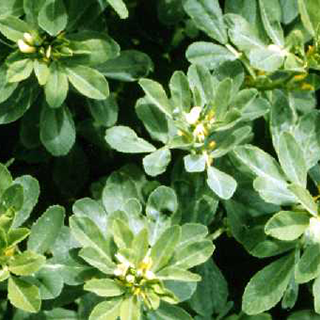 Unlike many other herbs that thrive on neglect, fenugreek likes fertile soil, so be generous with the compost. Space plants five to six inches apart. Harvest and dry seedpods in early to mid fall, and store them in an airtight container in a dry, dark spot.